Outside of Shohei Ohtani’s signing with the Los Angeles Angels and a number of deals involving relievers, it’s been a frigid start to free agency, particularly at the top of the class. As of Jan. 3, Carlos Santana is the only player among Dave Cameron’s top-five free agents to have found a home so far this offseason. Of Cameron’s top-10 free agents, only three have signed. Of the top 20, just five. That’s a pretty unusual volume of transactions. Consider that, as of this point last winter, 17 of FanGraphs’ top-20 free agents had signed. Nine of the top 10 had come to agreements with teams. In the winter of 2015-16, six of the top-10 free agents had signed by this point and 11 of the top 20. As front offices return from holiday break, it will be interesting to see when the market heats up and how many free agents are still left out in the cold as spring training nears. This has been one of the slowest starts to free agency in recent memory. It is likely in part due to some unusual circumstances — particularly, the looming free-agent crop of next offseason, headlined by Bryce Harper and Manny Machado. A team like the Phillies is undoubtedly sitting on most its significant spending power until next winter. The Phillies’ free-agent deals this offseason have been front-loaded. Moreover, some of the largest-market teams — the Dodgers and the Yankees, for example — do not appear to have many glaring needs, having benefited from the arrival of significant homegrown talent. Given the divide between the projected Have and Have Nots, there might not be many teams — outside of the Rockies, perhaps — that believe significant spending could push them from the playoff bubble into the postseason field. But there are also some systemic concerns for the Players Association, as well. The new CBA’s more punitive luxury tax is a stronger incentive for the largest-market teams to reduce spending. The Yankees have paid luxury-tax dollars every year of the tax’s existence, and New York ownership seems determined to stay below the threshold this offseason, at least to reset their status as a multi-year violator leading into next year’s free agency class. As I noted in December, baseball’s soft cap has become more rigid and that could have real consequences in free agency. And when using free agency to try and improve a roster, more and more of these like-minded front offices are learning how to be patient. Max Rieper of Royals Review found that, from 2013 to -17, free agents who signed before Jan. 1 received guaranteed dollars 4.0% above FanGraphs’ crowdsourced estimates. Free agents who signed after Jan. 1, meanwhile, received 25.3% less than FanGraphs’ estimates. This shouldn’t be much of a surprise of course. The most coveted players are going to be inked to deals sooner. The players that sign later are those less desired, or who perhaps misread the market. Often times this seems to be sluggers with defensive concerns, and of course, the previous draft pick compensation system weighed some free agents down in the market. This winter, of course, it isn’t just the Chris Davis and Mark Trumbo types waiting on a contract from the Orioles; it’s the top of the class like Eric Hosmer, Yu Darvish and Jake Arrieta waiting for the right deal. In the previous two offseasons, all of the elite free-agent arms had signed by the New Year. 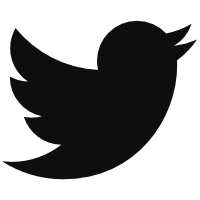 With each day that elapses after Jan. 1, asking prices are more likely to decline than increase. Moreover, while free-agent classes vary from year to year with regard to their talent and impact, last year was marked by the lowest overall total of free-agent spending ($1.428 billion) since 2012 ($1.175 billion), according to Spotrac. Teams guaranteed a billion fewer dollars to free agents last winter than the previous one ($2.418 billion), according to the site’s data. As of this moment, teams have committed just $534 million to free agents. And teams do not seem leery of allocating just dollars to free agents but also years. There has not been a single free agent signed this offseason to a deal that guarantees him more than three years of employment. Last winter, by contrast, nine players agreed to deals of four years or longer. In 2015-16, 14 players agreed to deals of four years or longer. There were 13 such deals in the winter of 2014-15. And while the stars will eventually be signed, while there will be some deals of four years or more, they will be smaller in volume. And it is perhaps the middle class of free agents who will continue to bear the brunt of the devaluation of free agency by MLB teams. As more and more teams wait on top-end talent — at least this winter — it will push many signings for the overall class into February and later. 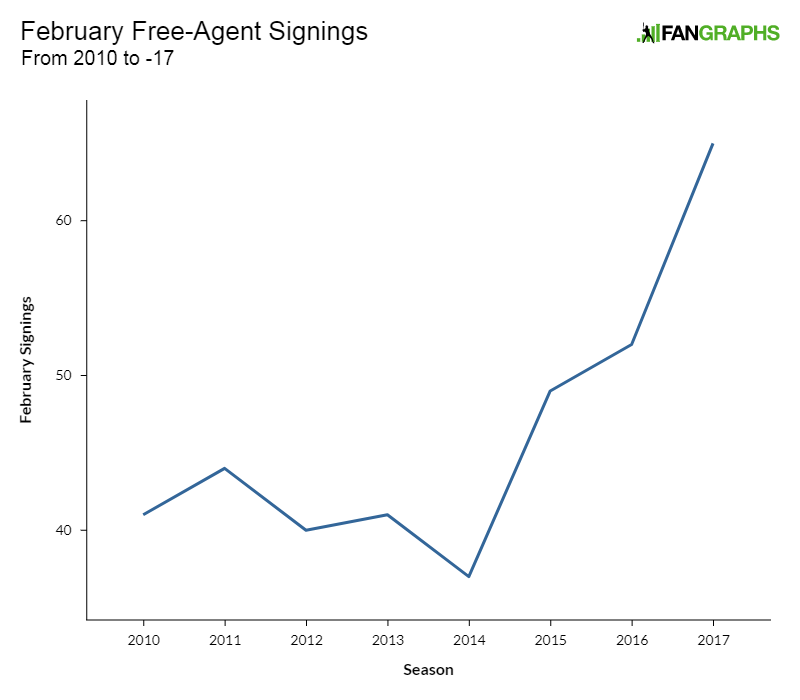 Last season, for instance, 65 players signed free agent deals in February, the greatest number since 2009 and the third consecutive year February signings had increased in volume. When free agents start seeing spring-training camps open on MLB Network, players stretching and playing toss on sun-soaked fields, anxiety will increase and asking prices will drop. David Freese had to wait until March to sign with the Pirates in 2016. He didn’t appreciate the uncertainty. Freese signed for one year and $3 million, well below his multi-year, eight-figure ask that November. If this is the new normal, if February is the new January, there is going to be more waiting, more anxiety. From the players’ perspective, that’s not good news for the institution of free agency. We hoped you liked reading MLB Teams Have Learned to Wait on Free Agents by Travis Sawchik! I think MLB teams are going to fall into two brackets, some contenders looking for specific needs early in the off-season and other teams waiting for bargains. Astros last season stroke early and filled positions that they had complete holes. Angels, aided by Ohtani’s decision, did that this year. With Yankees and Dodgers trying to get under cap and Astros, Indians, and Nats staying away from big free agents so far, there just aren’t many contenders thinking they need a big free agent splash this year. Outside of years with great free agents, I expect more and more contenders are going to try to develop more from within or with trades for surplus value instead of the free agent market. I expect there will at least be 1-2 teams every year that think they can help themselves more by getting exactly what they want early. Sometimes they will be right.